Question: My credit score has been as high as 792. I have never been late on my mortgage of 7 years and my student loans are paid in full. The only credit cards I have are a major credit card and one store credit account. I’ve had about 4 cars bought and paid for 3 paid off early and one paid off over the 5 year loan. Oddly enough when my student loans and my car loan were paid off my credit score dropped — so my question is how do I get to 800 or better? Answer: According to a 2010 estimate by the Fair Isaac Corporation, creator of the widely used FICO credit score only about 0.5 percent of consumers reach the 850 credit score mark. But there are many consumers with credit scores 800 or better. In fact, FICO released a report in April 2012 that found 18.3 percent of consumers have a score in the 800 to 850 range. Without seeing your credit report, I can only speculate. You mentioned car loans and student loans that are paid in full but you did not mention if there is any negative information in your credit files. Late payments, even if they are older and the account is now paid in full, can remain on your credit report for 7 years. Your credit scores are excellent as they are but if you want a credit score over 800, you probably have to get a little more revolving credit in your files. Paying installment loans in full such as car loans do not necessarily build a high credit score. 1. High utilization. You currently only have 2 revolving accounts. What happens sometimes when consumers only have a 1 or 2 credit cards, they tend to put most charges on those cards which causes high utilization. Even if you pay in full each month, unless you time the payment with the date your creditors report to the credit bureaus, a high balance could be reporting. 2. Lack of Revolving Accounts. According to FICO, the most widely used credit scores, consumers with high credit scores have an average of 7 credit cards (open and closed). High achievers have an average of 4 credit cards that report a balance. Therefore, if you have several credit cards only a few should have balances. 3. Late Payments. Consumers with credit scores 800 and above show no missed payments in their credit files. Missed payments within the last 2 years have a higher negative impact on your credit scores. 4. Experiment with Utilization. This may seem counterintuitive but you must have at least one credit card reporting a balance. The utilization factor in credit scoring accounts for 30% of your credit score. Utilization can be simply explained as the balance to limit ratio – the amount of your credit card balance compared to your credit card limit. FICO likes to see as much space as possible between your account balance and your credit limit. 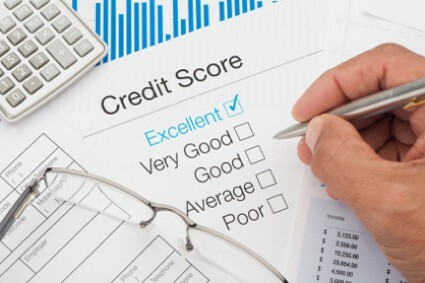 FICO has stated consumers with the highest credit scores are using 7% or less of their available credit limits. But, utilization is a much debated subject and it seems to differ for each consumer. You have to experiment with utilization levels to find where your best numbers exist. I suggest you should try 1% utilization. Some industry experts have stated the FICO scoring system will give you more points when you have several credit cards with zero balances and at least 1 or 2 credit cards reporting a 1% utilization. That means if you have 7 credit cards and $40,000 in total credit limits you’d have to have $400 in balances on your cards. Paying down your credit cards may be simple enough but the problem is sustaining the 1% utilization level and timing. You must know the date when your credit card company reports to the credit bureaus and have the correct balance report. Credit card issuers report the balance from your most recent statement…not the balance after you send them a check. It can be tricky to get the 1% utilization to report because if you maintain a balance that means interest will be added to what you owe which will result in your balance being higher than a 1% utilization level. It can be done but it might drive you crazy in the process. Ultimately what matters is any credit score 740 or above will get the best interest rates and terms for any credit cards, personal, auto or mortgage loans. The best of luck to you.